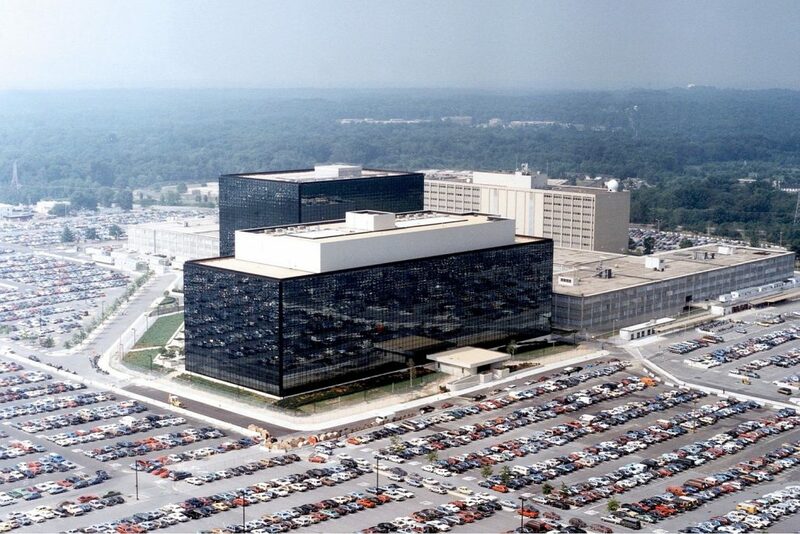 Consider: NSA collects the metadata, but dumps it onto another network, say SIPRNET. Now FVEY can see it. Did the metadata become content at that point? I believe that is what government would argue. And how would FISC know they have been fooled? I’d be curious about this. 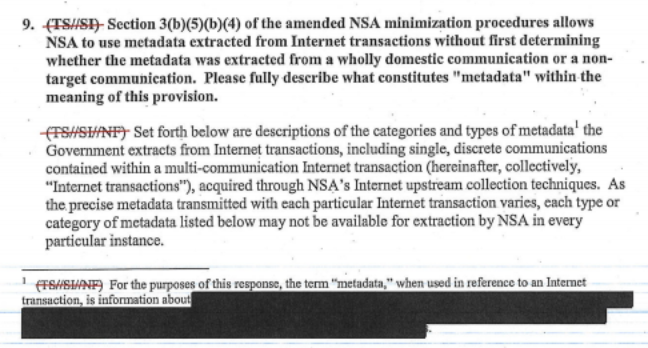 Metadata had a really obvious definition back when collection methods were designed around radio comms. I would have just assumed that the old meaning still held: data=body of communication, metadata=all the information associated with the delivery of the communication. But maybe things aren’t that simple any more. Is it a reasonable inference that the government’s redaction is intended to hide the fact that it is collecting (and using) information it shouldn’t be collecting? If so, why do FISC judges continue to play along in a game that appears to be an abdication by the judiciary of its separation-of-powers obligation? And with Congress either ok with this or simply AWOL on the issue, how does any of this translate into meaningful oversight of the national security apparatus? When The President Hates A Race And Talks Racist Trash Did President Trump Violate Federal Law With His Alabama Rant?